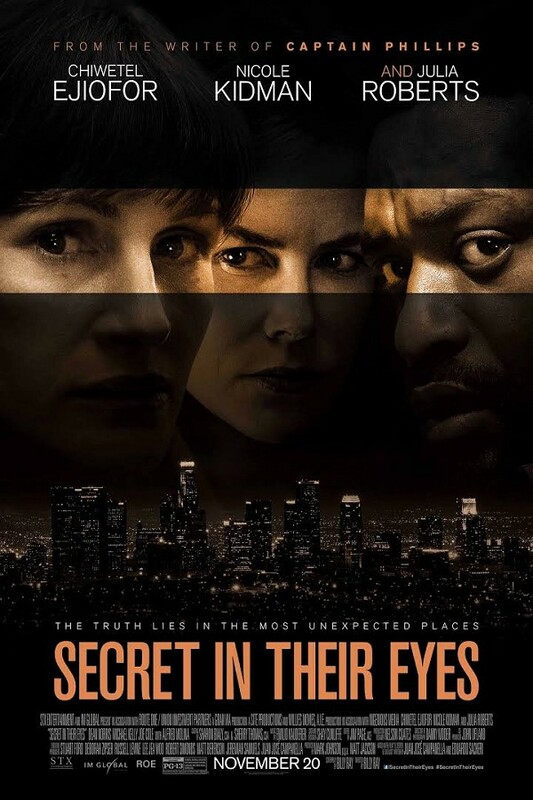 My goodness, "Secret in Their Eyes" is a fascinating movie. It can be a little confusing because it switches back-and-forth from present day to about 15 years ago. Once you get the hang of looking for hair styles and who walks with a limp, it becomes much easier. As the trailers have told you, it centers around the murder of a police detective's daughter. The detective, Jess, is played very well by Julia Roberts. Again you can tell which time period you are in because of her aging. Her partner, Ray, (played by Chiwetel Ejiofor) seems to be as determined to find the killer as Jess. Excellent movie, but not a "feel-good" movie. No laughs in this one. Go to it with someone. You will want to talk about it afterwards.